Trish Clark Gallery opened its central Auckland, New Zealand, location at 1 Bowen Avenue in April 2014, marking 30 years since owner Trish Clark opened her original gallery in Auckland’s High Street, then representing artists including Gordon Walters, Billy Apple, Milan Mrkusich, Max Gimblett, Stephen Bambury, Julia Morison, Christine Webster and Julian Dashper. Now representing twenty one artists across three generations, several senior figures in New Zealand art sit alongside emerging talents and a number of renowned international artists, including Kimsooja, Alfredo Jaar and Anthony McCall. Trish Clark complements work by gallery artists with curated guest artists/artworks in a programme of innovative exhibitions across a variety of media. Currently on display until MAY 18, 2019 is a Christchurch-born, Auckland-based abstract painter Stephen Bambury, born 1951. 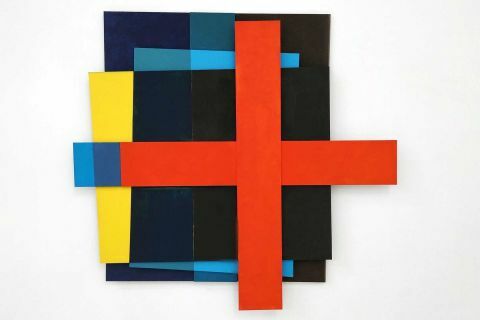 Stephen Bambury’s productive preoccupation for over forty years with the square, circle and cross has yielded a body of work that mines rich seams. 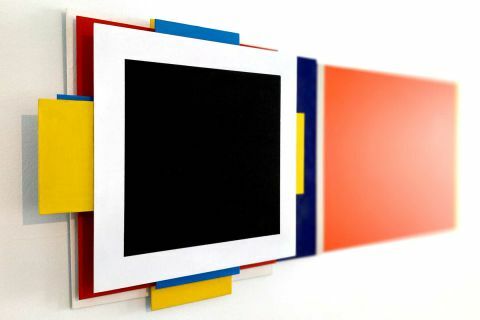 Unlike the rigid formalism adopted by some other artists of the same period, Bambury’s work fuses intellectual and emotional content with material form. The central importance of materiality to Bambury’s practice is underpinned by comprehensive technical investigation; he has mastered the use of copper, aluminium, paper, resin, graphite, precious metal gilding, chemical patinas and rust. Sculptural elements comprised of steel, oil and burnt timbers expand the notions of a painting practice. Photography, screen prints and collaborative publications constitute another area of current investigation. 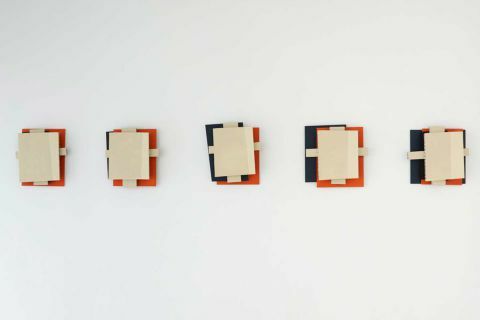 Now splitting his time between New Zealand and Europe, Stephen Bambury presents a solo exhibition of new works that incorporate his thinking and material approaches across his nearly five decades of practice while referencing the centenary of the founding of the Bauhaus. Long an admirer of the Bauhaus, this exhibition includes specific reference to the school in Bambury’s new large-scale photograph. 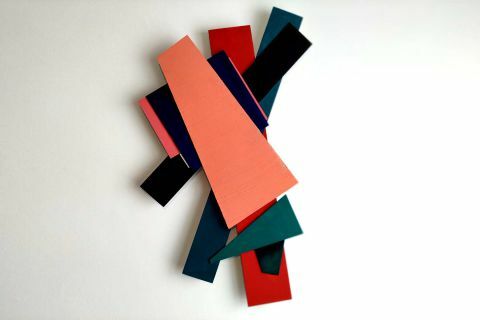 Oddly reminiscent of early constructivist paintings from a century earlier, but thoroughly contemporary in their materiality, are Bambury’s remarkably complex and powerful new works, developed since 2016. As ever, the artist explores and delivers fusion of deeply personal and emotional content with substantively researched materiality. Employing an exceptional range of scale, Bambury explores and reconnects the apparent dualities of light dark, negative / positive, masculine / feminine, the sea and the land, the intellectual and emotional and the universal and the particular.